With a stay at Pargo's Hotel in Puerto Escondido, you'll be a 5-minute walk from Commercial Walkway and 6 minutes by foot from Zicatela Beach. Featured amenities include a computer station, a 24-hour front desk, and a safe deposit box at the front desk. 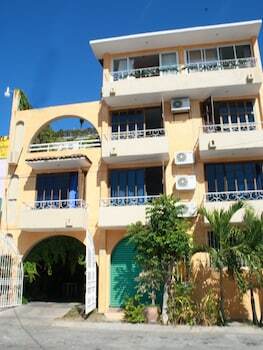 Located in Puerto Vallarta (Romantic Zone), this condo is minutes from Galleria Dante and Playa de los Muertos. Limited parking is available onsite.